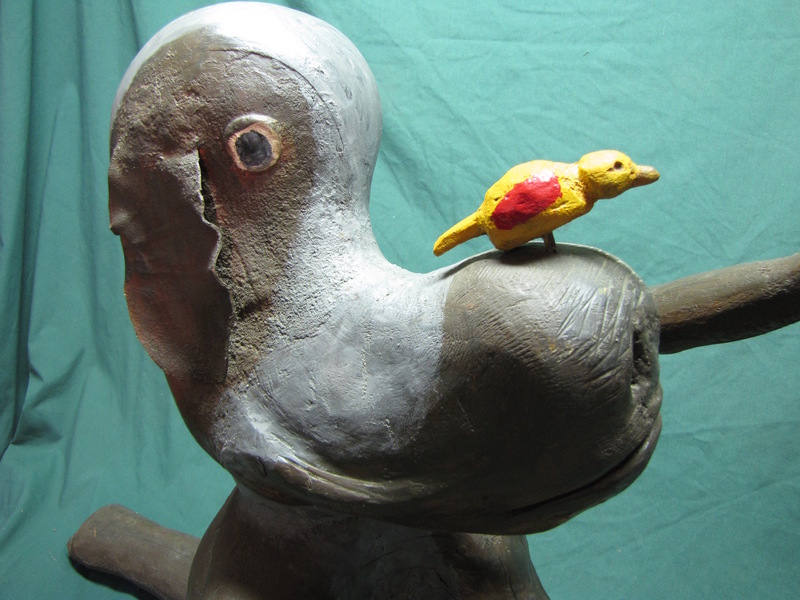 Collectivator :: Rentz - funky dog with bird. 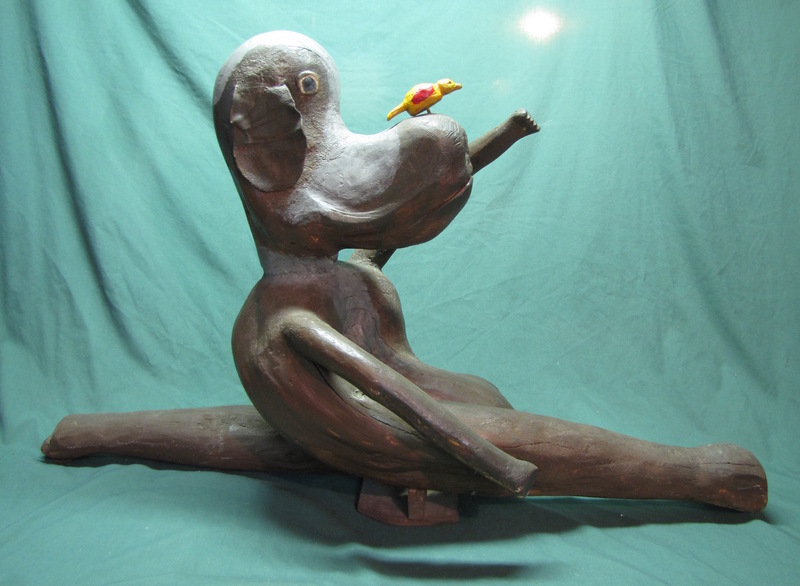 SOLD Rentz - Funky Dog With Bird. 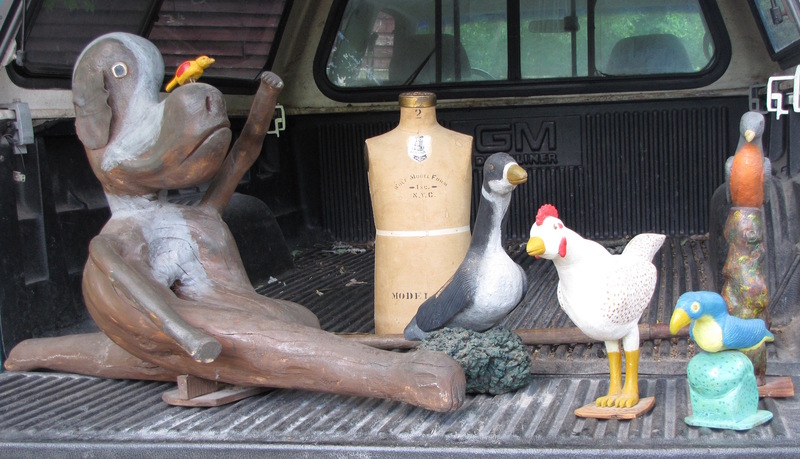 Rentz was well known for using "as found" shapes to form his folk art pieces. This dog is the ultimate expression of that approach. He is doing the splits while "jogging" and dealing with a bird that has landed on his nose. This has to make you smile. An unusually large piece at 44" length and 25" height, but will have great presence when installed as the focal point your folk art collection. A more detailed biography of Rentz is found on www.folkartcanada.ca.